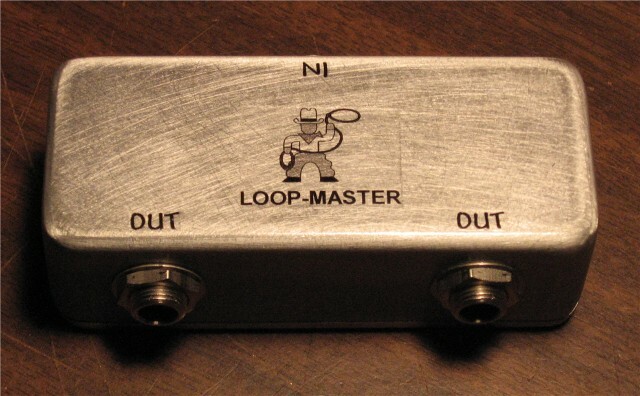 This basically combines our single looper and mini channel Switcher into one enclosure. These units control single reverb, tremelo, delay, etc.. in amps and devices that have 1/4" mono jacks installed for turning them on or off. 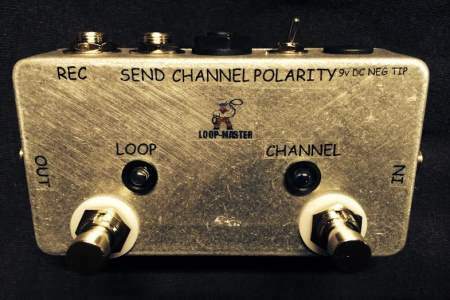 (One unit turns the effect "on" and "off") Just plug a cABle in the "Channel/Effects Switcher", and run it to your amp or whatever device you want to turn on and off. These units work great and are built to last using Die-Cast Aluminum enclosures, 3PDT switches, Switchcraft jacks, and your choice of the LED color. LED POLARITY SWITCH: A very useful switch. This will come in handy when you use this unit with certain devices that when if the channel is on or the effect is on but the LED isn't, just simply flip the toggle switch, and the LED will now come on when the effect or channel of your choice is on. This means you can calibrate the LED to come on or go off at any point, in any device that uses 1/4" phone plugs to plug a footswitch into.